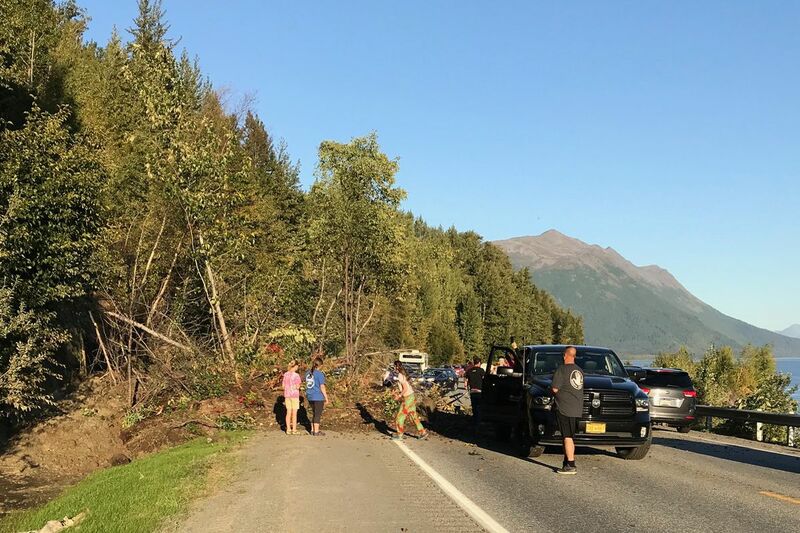 State transportation officials on Sunday were trying to determine what led to a small landslide that closed a lane of the Seward Highway just south of Anchorage for hours Saturday evening. The slide, just before 8 p.m, let loose a tumble of dirt, roots and small trees that covered part of the northbound lane. Anchorage police set up a traffic-control station and closed the road while DOT personnel from Girdwood responded, said Shannon McCarthy, a spokeswoman for the Alaska Department of Transportation and Public Facilities. Both lanes of the highway reopened by 10:45 p.m., she said. Slides have happened in the area but typically after heavy rains saturate the ground, McCarthy said. 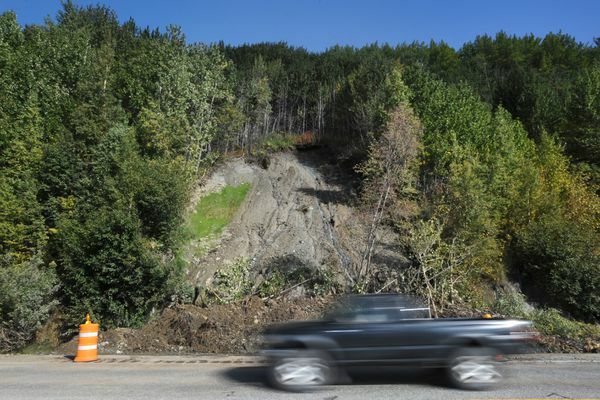 In December, a landslide at nearly the same spot covered the highway with dirt and uprooted trees after a freeze-thaw cycle. The debris knocked over a section of guardrail and reached the railroad tracks. Without any recent rain to speak of, "this is unusual," she said. When DOT workers looked Saturday, they found the ground was sodden. "They are concerned because it looks like water is undercutting the vegetative matter and roots," she said. On Sunday, DOT geologists and maintenance workers were going to be looking for the source of the water and deciding whether another slide is likely and further precautions are needed, she said. The landslide happened at Mile 105 of the highway, between Windy Corner and Indian and about four miles south of a popular water pipe.